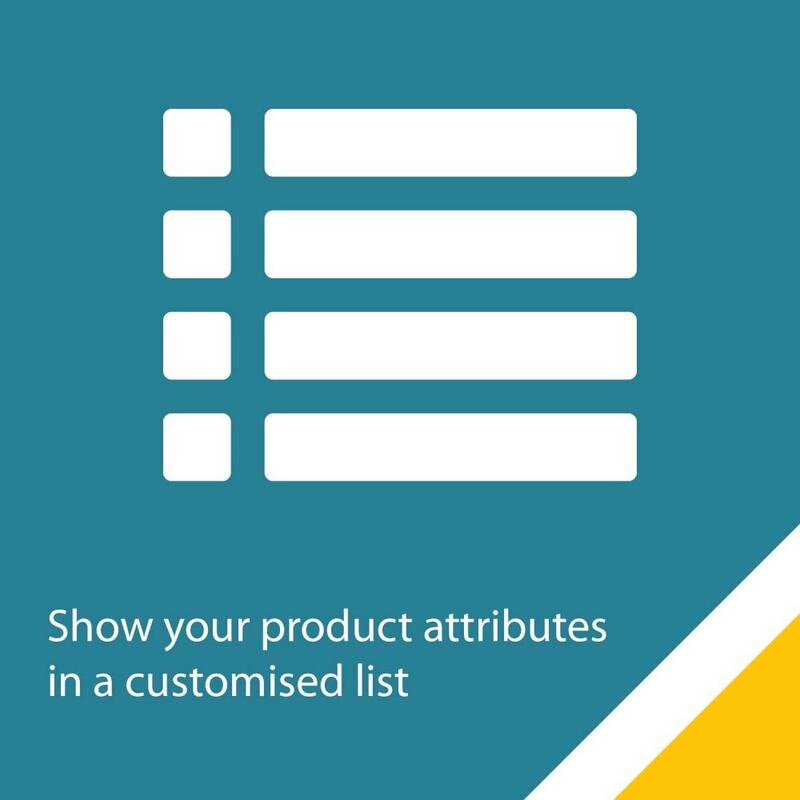 Show and customize the list of attributes for all of your products. Configuration is general or by article. 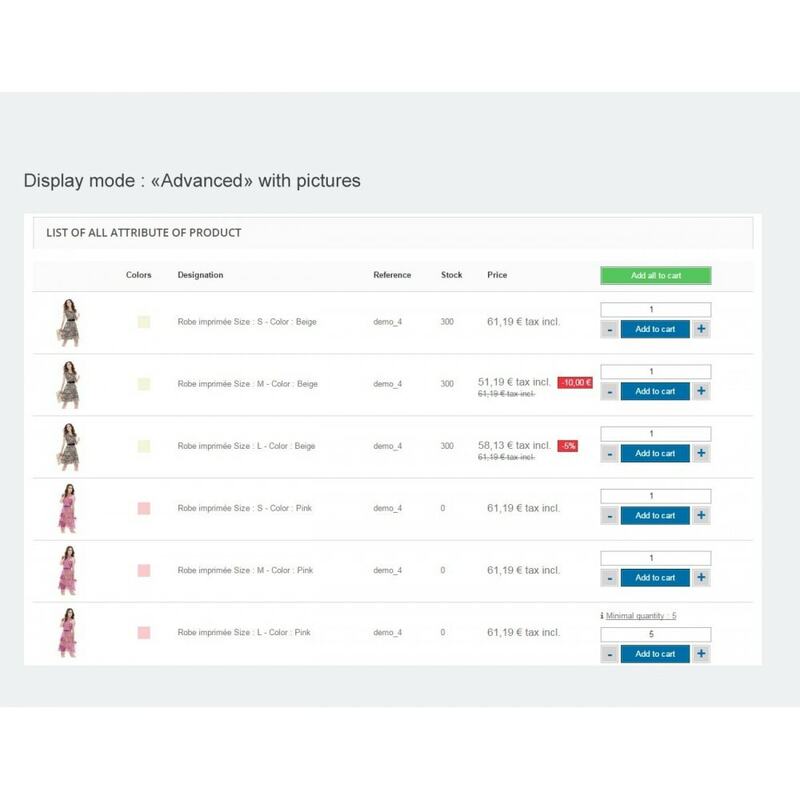 Decreases the number of customer click on the purchase of the product with an attribute. 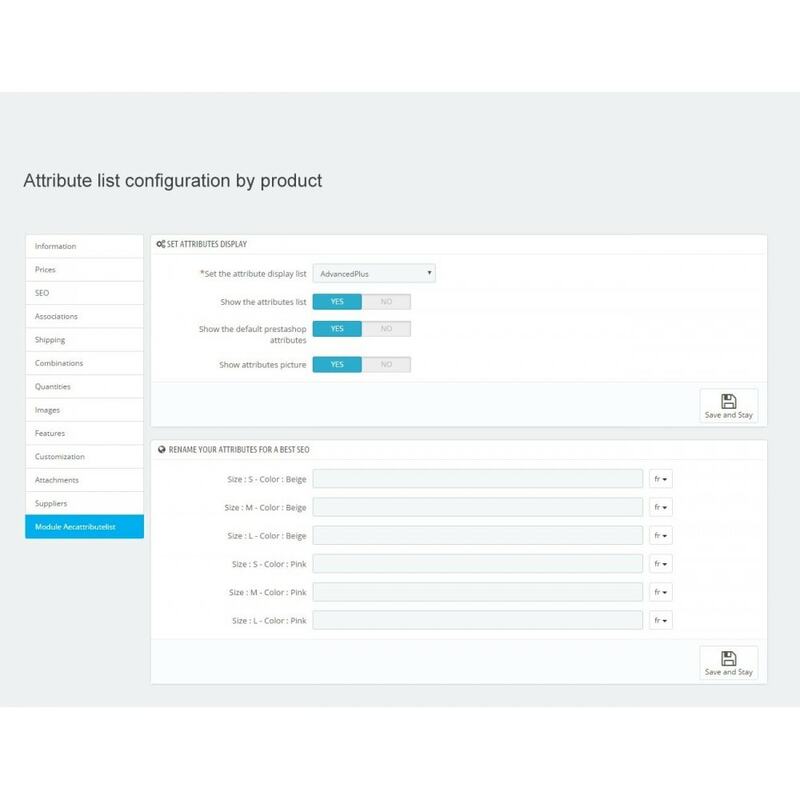 Choose to apply the configuration of the whole of products or a single item. The prices include all available discounts and displayed with reducing its amount or percentage. If the shop is in catalog mode, columns Stock, Price and buttons do not appear. Improve your SEO by customizing the names of attributes. Disable some combinations and dont let your customers go. Filling the "packaging" and easily display the unit price. 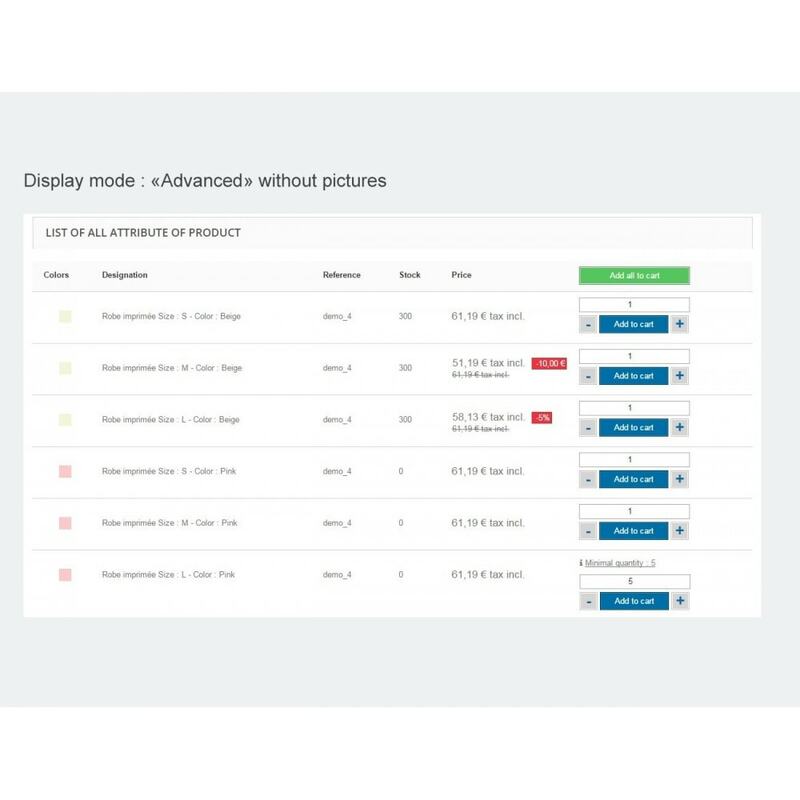 Select from three modes for displaying the list. Basic: Displays columns: colors, Designation, reference, Stock, Price. Activate or not the listing of attributes. Display or not the image of each attribute. Set the display of the list directly in the Back Office section. 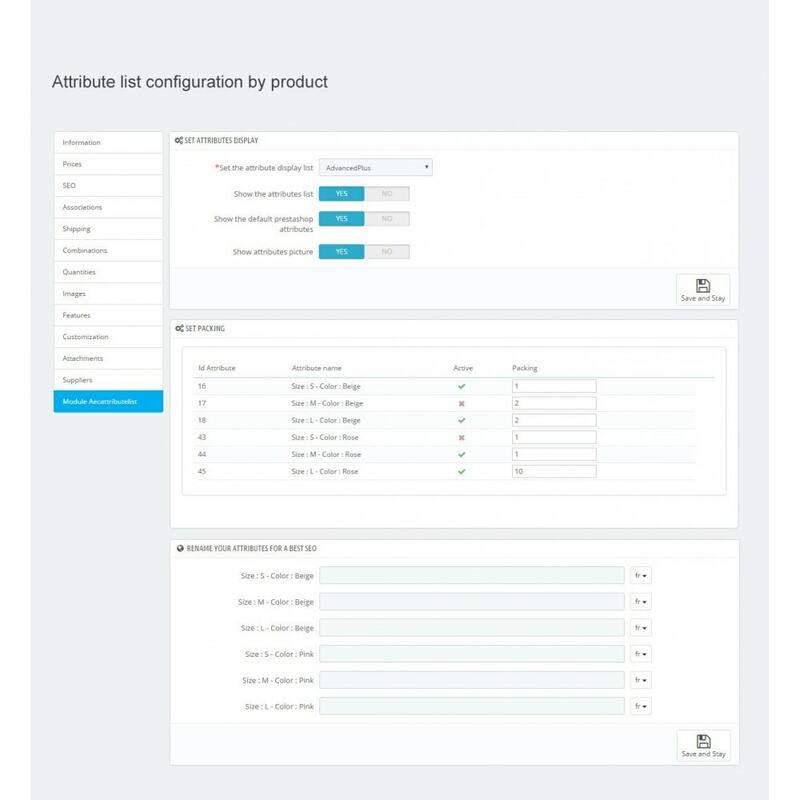 If no configuration is specified for an item, the overall configuration of the module will be used. Enable or disable one or more combination easily in product back office. Display the unit price for each combination. By default the module is attached to FooterProduct hook. 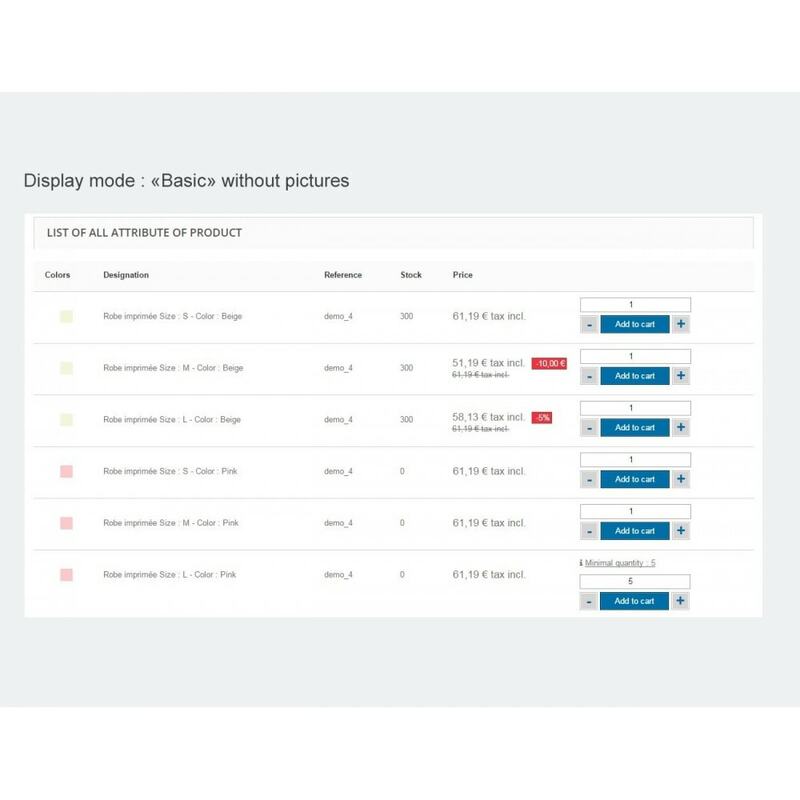 However,you can unhook and use the tag described in the Back Office module to display your list where you want on the product page. From a glance, check availability of desired variations. Due to combination desactivation end the "out of stock" for combinations. Display the unit price if your declination contains packing. In Advanced mode, send all declensions to cart with one click. Use the button "Add a new module" from the page modules in the back office and upload the .zip file.